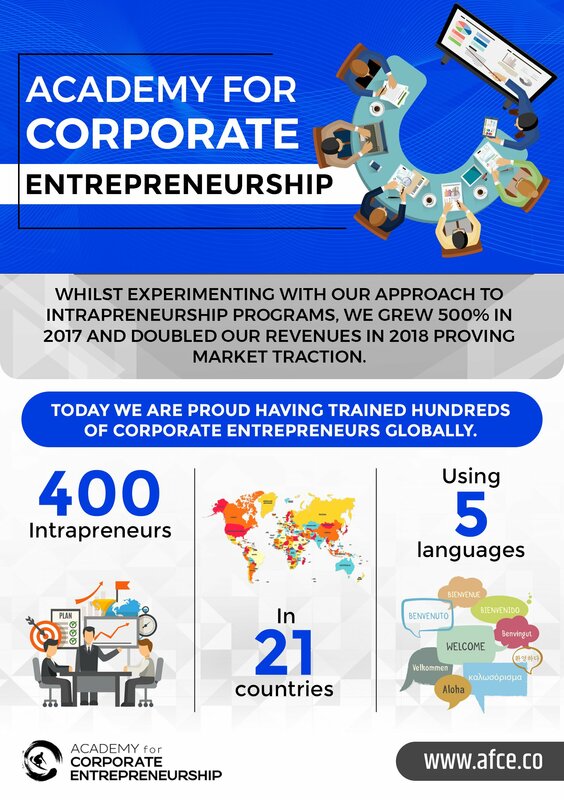 Many of you have been closely following the developments of AfCE since our launch in 2014, when we were just the seedling of an idea, to try and shape how corporates innovate, by offering a more entrepreneurial approach. Many of you have been following us more recently. This is a letter to all of you! We summarize the most important steps in our journey and the components that we feel made our success.